Get the latest news and specials happening at Hamleys South Africa! 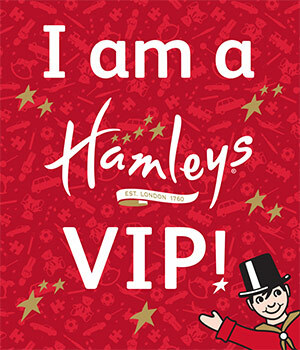 As a VIP in the Hamleys Family,be the first to know about events, competitions and special promos in store. Plus, stand in line to win exclusive prizes. What you receive as a member? A monthly SMS with promotions happening at Hamleys South Africa! A monthly email newsletter with competitions, in-store events and more!